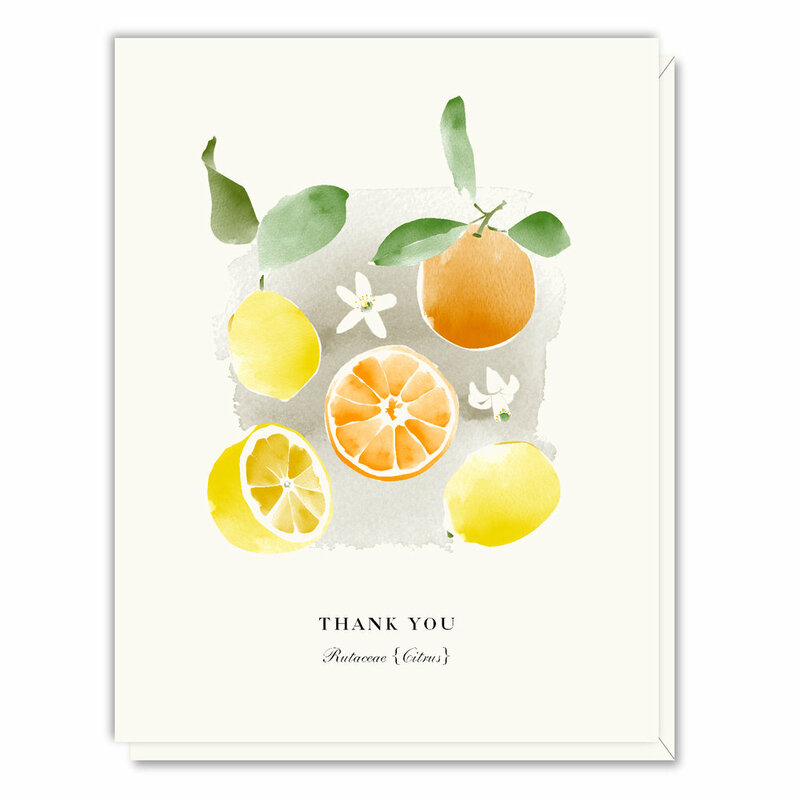 Our fresh and sweet Thank You Citrus card has been recently featured in Stationery Trends! Lemons remind us of a fresh start, cleanliness, cheerfulness, Spring, Summer and Winter... and they never go out of style! Whether on a greeting card, on a plate or as home decor, it's beautiful everywhere. Our Citrus card, as well as all of our watercolor cards, shows the scientific name under each artwork. This little beauty is also perfect for framing.